2. 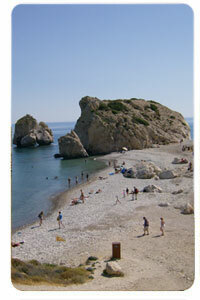 The beach of ‘Petra Tou Romiou’. 3. The ‘Ha Potami’ dam. 7-12. Beautiful images from Kouklia. 16. One of the prickly pear trees of Kouklia. 17. The cave of seclusion probably constituted an expansion of Saint Constantinos’ Monastery which stood at the location where a chapel dedicated to the same saint stands today. 18. The stony bridge under which floats the river ‘Diarizos’. 19. The waters of the River Diarizos. 20. The chapel of Agios Georgios Pyrgotis, or else of Agios Georgios Pyrgotis Sinaiton. 23. The Aeolian Park in the area of the Oreites Forest. 24. One of the traditional clay ovens of Kouklia. 25. Sundown ..........An idyllic image of Kouklia! !